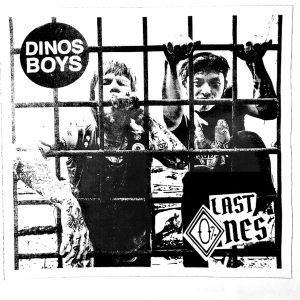 DINOS BOYS were born in Brooklyn, NY before relocating to their current home in Atlanta, GA. Their debut record Last Ones is now available from Oops Baby Records and Die Slaugherhaus, cramming 11 tracks of 70’s influenced punk rock in a 20 minute heartstopper. The boys quickly set the tone in album opener “Catapult.” The trio jumps down your throat immediately, with guitars ablaze backed by a rollicking rhythm and seriously blown-out vocals. They sound tough and muscly, cramming hook after hook into songs that rarely pass the two minute mark. Anthemic chants and gritty chords keeps your blood pumping in the introduction, wrapping up just one of these jagged punk nuggets. “Knee High” is the longest track on the LP (2:19! ), driven by wiry guitars that went through a paper shredder. Grungy bass lines and spiny soloing keeps their sound invigorating, crafting up this tight but rough-around-the-edges outlook that is nothing short of addicting. The fist-in-air chorus spearheads the track, only reinforcing their sturdy, snarling punk rock. Get listening below or you will be sorry! BUY the LP from Oops Baby Records ! 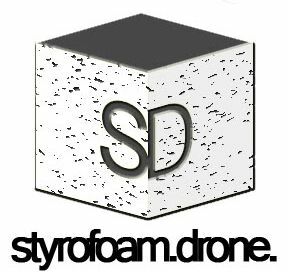 Posted on March 31, 2014 by styrofoamdronePosted in LP, ReviewsTagged garage rock, Lo-Fi, punk.